Back in spring of this year, at C2E2, Dark Horse announced a new project by Hack/Slash creator Tim Seeley, promoted as a ‘vampire romance’ story. This particular approach in horror writing and tv has been popular, although not particularly impressive. 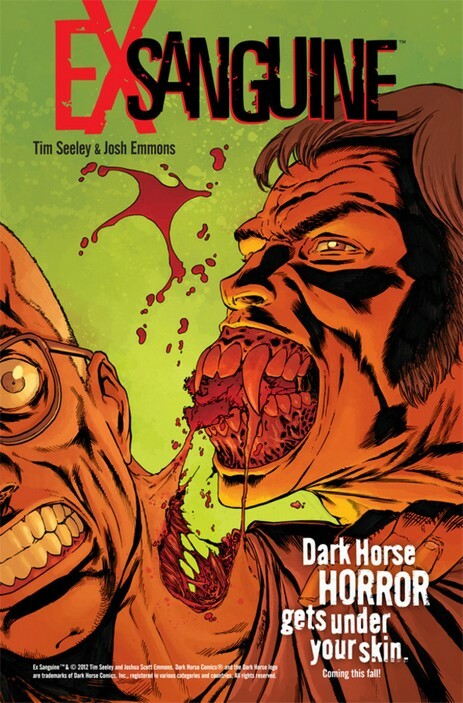 Dark Horse promised something bloodier, fresh and fun. Did they deliver? Ex Sanguine #1 is most definitely bloody. For a first issue, there are several scenes of murder and multiple suspects. The story lines are already being piled up. There’s the FBI agent with the brutal, traumatizing past. There is Saul Adams, who has many layers himself, being at times a confused, internally torn recluse and at times a vicious killer. Then there’s Ashley, the seemingly average waitress who reveals her own sordid past and blood lust. She really wants to grab and hold on to Saul’s attentions, while Saul really wants to crawl back in to himself and avoid making any new connections with anyone. There are so many events and story lines building in this first issue that I can’t say I know exactly what is happening yet. Or at least, I ca’t work out how any of these stories link up yet. But I have confidence in the story telling prowess of Seeley and the amount of action and character development this issue offers is more than enough to hook me. As a fan of Hack/Slash, I think the campy horror love story thing can work nicely here, as long as the massacre keeps coming and the edge remains sharp. It’s clear that this wasn’t just thrown on the paper but the creators have thought out the relationships these twisted characters could develop and are setting up multiple interesting paths for them to follow. Verdict: Buy it. If you like horror, this book will be a great new series to enjoy. 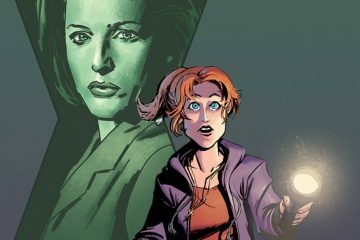 Tim Seeley rarely disappoints and if the first issue is any indication, each one will be dripping with blood and violence, with a sprinkle of romance to keep things pretty. It’s a frivolous treat, nothing too heavy or deep, but it’s sure to entertain you and serve up something you haven’t read before.